There are moments when you sit back and you say . . . Wow! 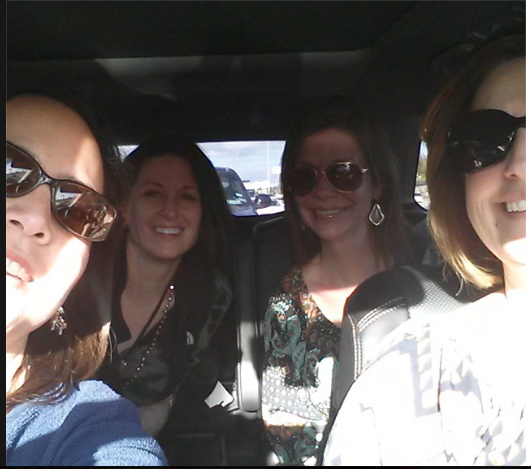 My fellow Instructional Coaches and I attended the Eanes ISD iLeap Academy. Here we are on our way home . . . all smiles, but what you can't see . . . our brains are ready to explode! Usually, we are very chatty, but I will tell you, we were pretty quiet on the way home . . . processing all that we had done and seen. So what is iLeap Academy? iLeap Academy is a one-of-a-kind training event. It's based on the idea that we learn a concept best when we experience it. This academy has been more than 3 years in the making since our initial 1:1 pilot program in 2011. This course combines both training from world-class instrutors and actual in-classroom observation of a 1:1 iPad environment. 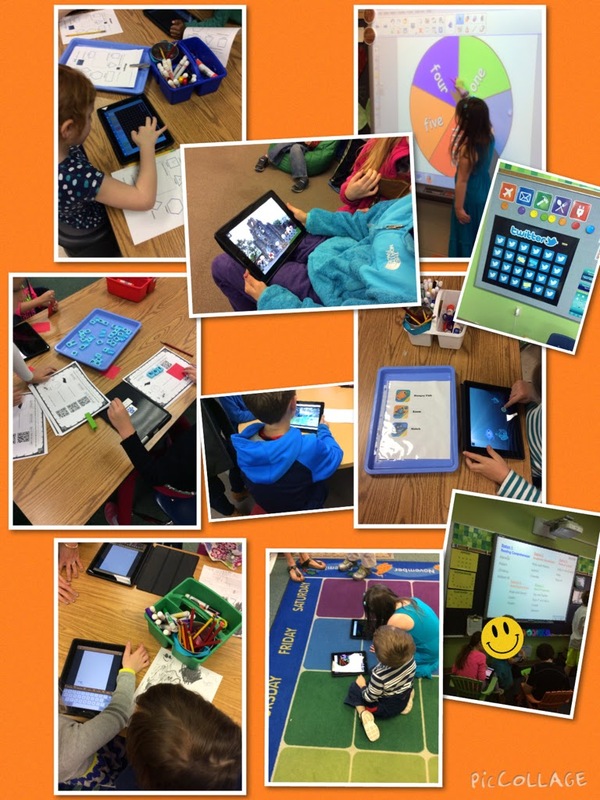 Even though, our district is not a 1:1 environment, we have a good number of iPads on our elementary campuses. We were there to learn how to move up the SAMR model! Our Hosts . . . 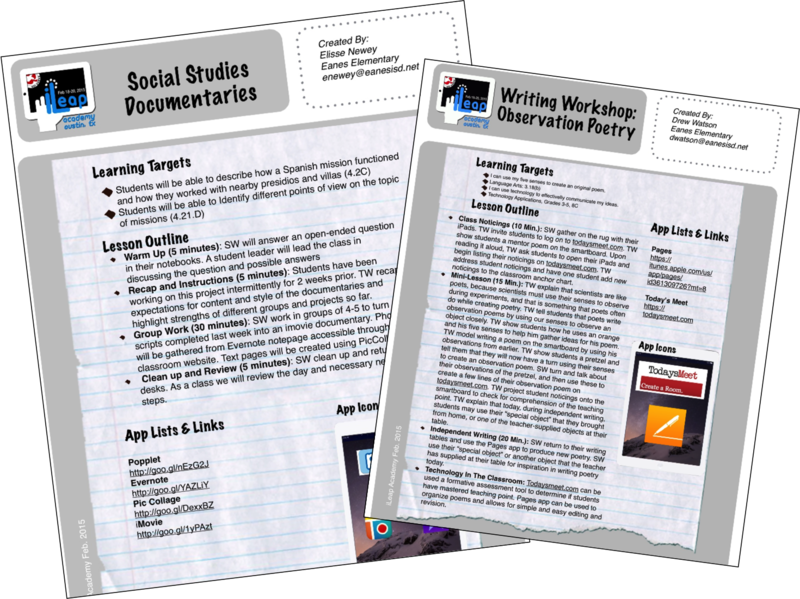 Recently, the app Paper by 53 was free! With "sketch notes" a big thing now, I thought I would try my hand at drawing my reflections about the 3 days at the iLeap academy. When I finished my drawing, I took it into Thinglink! I attached links of my thoughts, Youtube videos, apps and websites. Part of the 3 days included school visits. I had the opportunity to visit Eanes and Bridge Point. Check out their school blogs. What stood out were the learning environments. 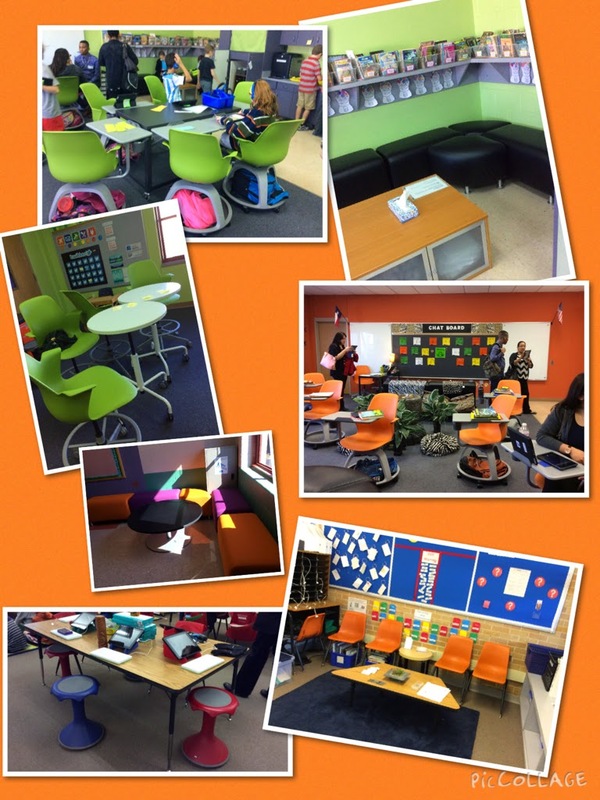 Furniture as a way to help enhance the learning . . . collaboration. Disclaimer: Not all classes had this type of furniture. The district has a vested interest in creating learning environments that promote collaboration. Our visits consisted of seeing kinder, 3rd, and 4th graders in action. Students were working with QR codes, Puppet Pals, TodaysMeet, Pages, iMovie, Evernote, Popplet, Motion Math, Pic Collage, Scribble Press, and I'm sure others I'm forgetting. We met amazing teachers that created engaging experience for their students. After each site visit, we returned to the district learning center. There, we were immersed in numerous hands on activities . . . creating and curating! We investigated new features on the iOS 8, used Explain Everything, participated in an Appmazing Race Challenge and finally created a book using the app, Book Creator, documenting our learning over the 3 days. The day was broken up with various brain breaks. This was my favorite! 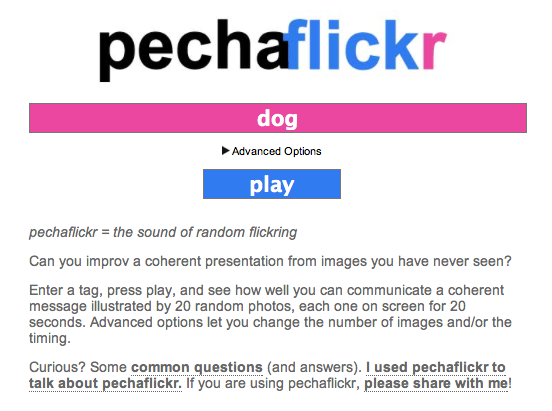 Perfect for a faculty meeting or during a presentation. 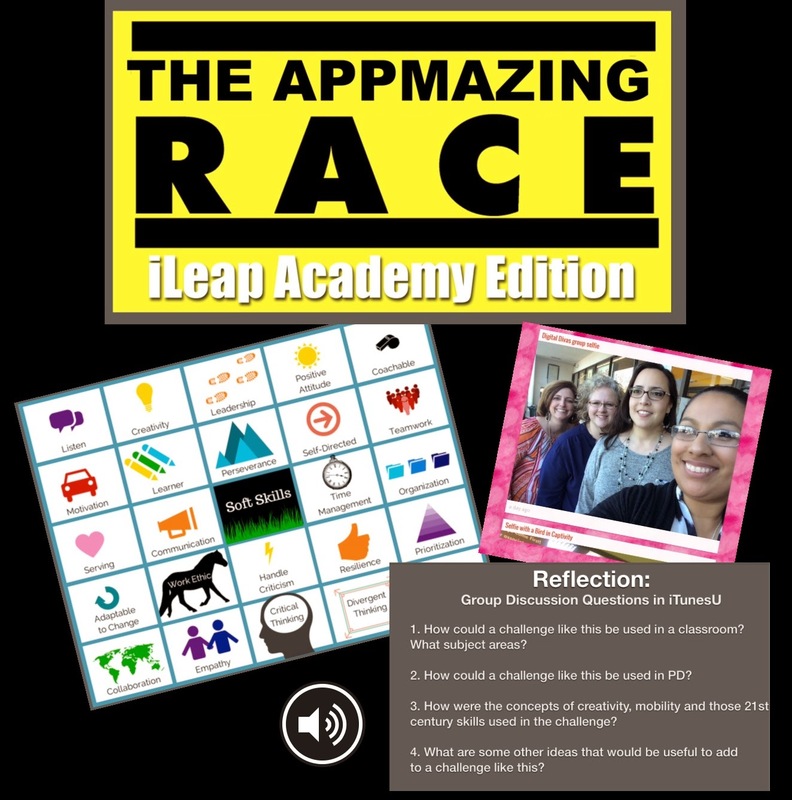 Texas teachers, if you get a chance, sign up for the iLeap Academy this spring or the iPadpalooza in June! A HUGE thank you to Carl, Lisa and Tim for the fabulous job putting together an authentic learning experience where every aspect can be used either in a classroom or in professional development setting. Sounds like a wonderful experience! Can't wait to read more about it. Join our March Book Mania!